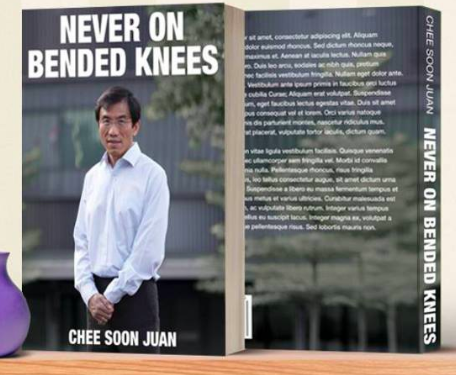 The book of Dr. Chee Soon Juan, the secretary-general of Singapore Democratic Party (SDP), Never on Bended Knees, was launched on Saturday, January 26, in the headquarters of SDP in Ang Mo Kio. Chee asked his supporters to leave behind how politics was done in the past, which he said was based on “personal hatred, vindictiveness and destruction,” according to a report in Today. Chee called on them to create a public debate “worthy of” Singapore, rather than stooping to what he termed as “verbal abuse” that the ruling People’s Action Party practices. According to Chee, such “verbal abuse” would be counterproductive. In the book, Chee narrated campaign stories from the 2016 by-election at Bukit Batok, which occurred when MP David Ong stepped down. Chan ran as the opposition candidate. According to the SDP secretary-general, Chee was the object of hostility from the People’s Action Party (PAP), when its members of parliament (MPs) made fun of how he spoke Hokkien and chastised him for not having regular employment. Even if during that time it was already possible to retaliate via social media, Chee still said that such moves are not the way to go. The focus of Singapore’s would-be leaders should be on providing alternative solutions to the problems that the country faces. His thrust is for voters to have “a reason to vote for the SDP, not just against the PAP”. Never on Bended Knees also recounts how Chee recently attempted to reconcile with the founder of SDP, Chiam See Tong. The two had a disagreement in 1996. Chiam is now the secretary-general of the Singapore People’s Party. SDP is currently preparing for the next General Election. It needs to be held by Aril 2021, but may be called earlier. 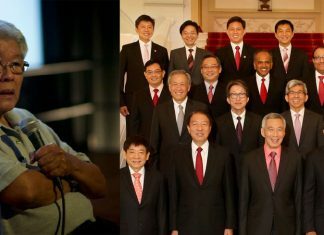 The party convened a meeting in July 2018 of six opposition parties, with the possibility of building a coalition headed by Tan Cheng Bock, former PAP MP, and Chee has expressed that he still hopes Tan will helm the collective group.